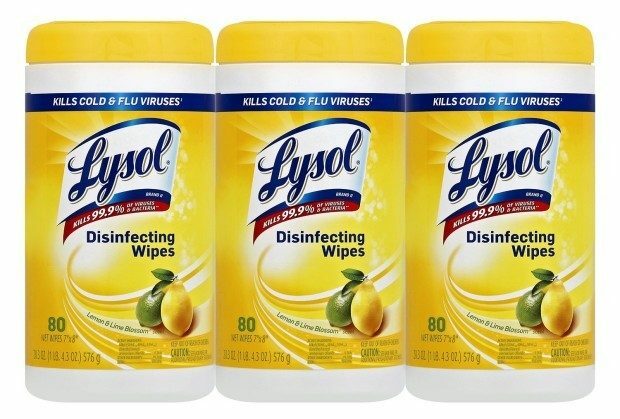 Lysol Disinfecting Wipes, Lemon and Lime Blossom, 240 Count (3-Pack) Just $6.71! You are here: Home / Great Deals / Amazon Deals / Lysol Disinfecting Wipes, Lemon and Lime Blossom, 240 Count (3-Pack) Just $6.71! Lysol Disinfecting Wipes, Lemon and Lime Blossom, 240 Count (3-Pack) Just $6.71! You can get get a great deal on Lysol Wipes for just $6.71 down from $13.99! Plus FREE shipping! Click the clip coupon and save button under the price.